Tipps and Tricks from the fampus Scouting Software The Software house which produces the famous scouting and coaches planning software HUDL will present its software on October 12, 2013 as part of the official German Bowl event program. Place: Holiday Inn Berlin-Mitte Hochstraße 2-3 13357 Berlin Registration: convention@afvd. L’Hospitalet Pioners faced a team (Black Panthers) with a much higher level, truncating the dream of becoming the first Spanish team to get a European trophy. UCF and Penn State to play in Dublin in 2014. On Sunday 14th July, Ireland’s GAA announced details of the 2014 “Croke Park Classic” which will see the University of Central Florida (UCF) face Penn State in their 2014 Season opener in Dublin on the 30th August 2014. The GAA is Ireland’s largest sporting organisation. The SWARCO Raiders have lost Eurobowl XXVII. In the European Football League’s (EFL) final they fell 37-14 (0-7; 0-16; 14-7; 0-7) to the Raiffeisen Vikings Vienna. In their fourth championship game for the European crown the Tyroleans experienced their first finals loss. Vikings QB Christoph Gross was named the game’s MVP. 03. Juli 2013 Eurobowl XXVII: SWARCO Raiders vs. Raiffeisen Vikings Vienna Beginn: Sa., 06. Juli 2013, 20:15 Uhr, Tivoli Stadion, Innsbruck Am Samstag, den 6. Juli 2013 wird sich entscheiden, welches Team die Vorherrschaft im europäischen Football erlangen wird. For the fourth time in six years the SWARCO Raiders have the chance to crown themselfes as kings of Europe. On Saturday, July 6 the Tyroleans host the Raiffeisen Vikings Vienna in Eurobowl XXVII. The final of the European Football League (EFL) is an all-Astrian matchup and is held at Innsbruck\'s Tivoli Stadium. Kickoff is at 8:45 p.m. CET. Sehr geehrte Medienvertreter, hiermit laden die EFAF und die SWARCO Raiders Sie herzlich zur Pressekonferenz anlässlich von Eurobowl XXVII (6. 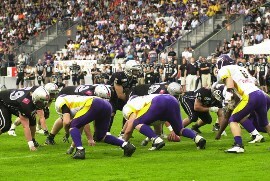 Juli, 20:45, Tivoli Stadion, Innsbruck) zwischen den SWARCO Raiders und den Raiffeisen Vikings Vienna ein. Die PK findet am Mittwoch, den 3. 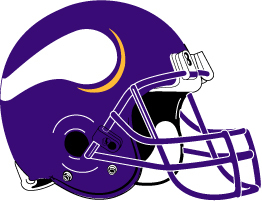 Here is the link to the statistics of the EFL semi final (Raiffeisen Vikings vs. Berlin Adler): http://afboe.at/uploads/media/VIK_ADL_16_06_2013.HTM The Raiffeisen Vikings defeated the Berlin Adler on Sunday afternoon in the ABALO EFL semifinal confidently with 41:17. 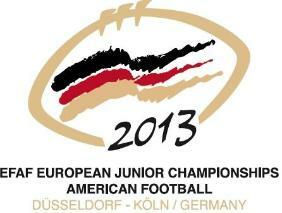 The logo of the 11th EFAF European Junior Championships was published today by the Hosting Committee. The Dauphins participated first time in 2013 on european clubteam competitions. And at their first attempt they directly made it to the semis of the EFAF Cup tournament. Last Saturday evening the Dauphins were proud to receive the Pioners of L’Hospitalet for the EFAF Cup semifinal. 1st Q.T. Thonon vs Pioners on air!